“It’s sad to announce the passing of one of life’s true gentlemen, Miceal Og Campbell of The White House, Swinford. 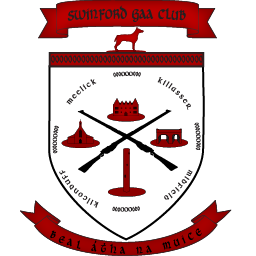 Miceal had a huge interest in the Swinford GAA Club and also in Mayo. He was very proud of his two sons Shane and Enda, who both played for the club. In recent years, he was very proud of his 6 grandchildren who play at different levels for the club, Paul and Mark McNicholas, Conor, Darragh and Cian Campbell, and Alan Howie.